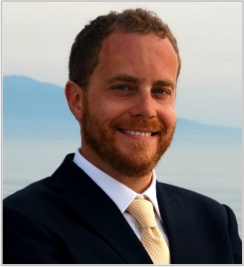 Matteo Diez is a Research Scientist at CNR-INSEAN, National Research Council of Italy-Marine Technology Research Institute. He achieved his M.Sc. degree in Mechanical Engineering from Rome Tre University in 2003 and his Ph.D. degree in Mechanical and Industrial Engineering from the same University in 2007, with a thesis on multidisciplinary optimization methods for conceptual aircraft design. His latest research focuses on simulation-based design optimization methodologies, with focus on the affordable use of high-fidelity prime-principle based solvers for ship hydrodynamics for both deterministic and stochastic applications. He has been PI of NICOP (Naval International Cooperative Opportunities in science and technology Program) grants funded by the US Department of the Navy Office of Naval Research and focused on high-fidelity numerical optimization of surface ships via CFD. He has been technical team member of several NATO Science and Technology Organization Applied Vehicle Technology (AVT) Task Groups on deterministic and stochastic CFD-based design optimization. He is member of ERCOFTAC (European Research Community on Flow, Turbulence And Combustion) Special Interest Group in Uncertainty Quantification in Industrial Analysis and Design. He was Adjunct Professor of Simulationbased Design at University of Venice IUAV from 2011 to 2016; Adjunct Professor of Flight Mechanics at Rome Tre University from 2010 to 2013; Adjunct Professor of CFD methods and applications at INARCH (Italian National Institute of Architecture) from 2006 to 2011. He has been Visiting Research Scholar at University of Iowa since 2011. He is author of more than 25 peer-reviewed journal papers and more than 75 papers published in international conference proceedings.